1.1 Details of your visits to our Website and the resources that you access including, but not limited to, traffic data, location data, weblog statistics and other communication data. Data used in Google Analytics will be kept for a maximum of 50 months. On occasion, we may gather information about your computer for our services to provide statistical information regarding the use of our Website. Louella Belle takes your privacy seriously and we will never sell or rent your personal data to any third-party. Sharing of your data and direct marketing activities are only carried out with your express consent, which you are free to withdraw at any time. We need to obtain and process your personal data to provide you with our products and services to fulfil our business and legal obligations. We will never collect any personal information from you that we do not need or retain any data that is no longer necessary for the purposes specified in this notice. Louella Belle, Unit 1, Atlantic Business Centre Stirling Way, Borehamwood Herts, WD6 2FQ are the data controller and processes your personal information for the purposes laid out in this privacy notice. DotMailer acts as data processor on behalf of Louella Belle, for marketing email purposes and do not have access to personal information. Further, they must process the personal information in accordance with this Privacy Notice and as permitted by applicable data protection laws. required to enter into a contract to sell a product or service. Engage in communication with you including new product launches, invoices and order confirmations or education or training course confirmations. Store customer records for invoicing purposes. If your personal data is held by Louella Belle you hold particular rights over it. Where you have provided consent for us to contact you as part of our marketing services, you have the right to modify or withdraw your consent at any time by using the unsubscribe option accompanied with all of our direct marketing or by contacting the Louella Belle Data Officer. information is used after it has been gathered. reason for its continued processing. To data portability, having your data moved, copied or transferred from Louella Belle to another organisation in an easily readable format. Accounts, Business and Qualification questions are asked in many of our account forms to potentially highlight courses or invoice information we may need to process your order. Louella Belle asks for consent prior to gathering and processing this information. At any time after giving consent, you can withdraw you consent, subject to legal, insurance and contractual restrictions (see more on ‘your rights as an individual’). Your privacy is very important to us and we only use this information for determining your suitability for the treatment. Your personal data is collected when you provide it to us through our website registration process or over the phone, by email, social media, in writing or any other means by which you provide it to us. Information is stored using our customer Relations Management System platform as well as some level of paper record keeping. Louella Belle gives you access to information about your [GG2] account and orders through your online account, for the limited purpose of viewing and updating that information. To view your information, you can log into our website and visit “My Account”. Your personal data is shared only with our customer relations management software representatives in cases that customer support and troubleshooting is required for the salon. Louella Belle do not share your personal information with any third-party without your prior consent, other than those already disclosed in this privacy notice or as part of our legal obligations under the relevant data protection laws. We may use your data, or permit selected third parties to use your data. We may or they may contact you by any of the methods that you consented to at the time your information was collected. Please note that by registering on our website you will provide us with customer data, which will be used internally and/or with third parties. If you do not want us to use your data for third parties you have the opportunity to withhold your consent to this by contacting us directly at any time. 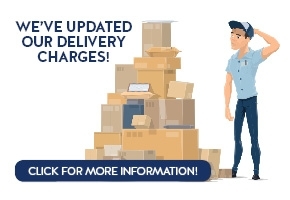 Louella Belle use software provided by Access to process your orders, store your business name and address and any invoicing details we need to process your order. Louella Belle retains your personal data for as long as necessary to provide you with our services as our client. Louella Belle are required under tax laws to keep your personal data for a minimum of 7 years. Health and Safety records will be retained for 10 years and where we have your consent for marketing purposes, we will retain the minimum required data until you notify us that you no longer wish to receive such information. When your personal data is processed through our customer relations management software, all of it is held within the EU. Your information is processed by the customer relations management software and stored in the cloud. During this process your data is encrypted in transit and at rest. always choose not to provide personal information; however, we will be unable to provide certain products, services and treatments in these instances. Appropriate measures are taken to protect your personal data from access from unauthorized persons or inappropriate access, internal or external. Your connection to our customer relations management software, uses a HTTP Secure communication protocol and TLS security. This means all information passed to our customer relations management software, is encrypted during data input and transfer to the cloud. Any paper files recording your personal data are held in a locked filing cabinet or safe which can only be accessed by authorised personnel in the salon. Employees are only assigned specific access rights and can only access the salon software with the PIN number assigned to them by the management of the salon. In the occurrence that you want to make a complaint about how your personal data was gathered, how it is being processed by Louella Belle (or third parties used by Louella Belle) or you are not satisfied about how a complaint has been handled, you retain the right to lodge a complaint directly with the supervisory authority and Louella Belle.